Malaysians get RPGT tax-free once-in-a-lifetime! 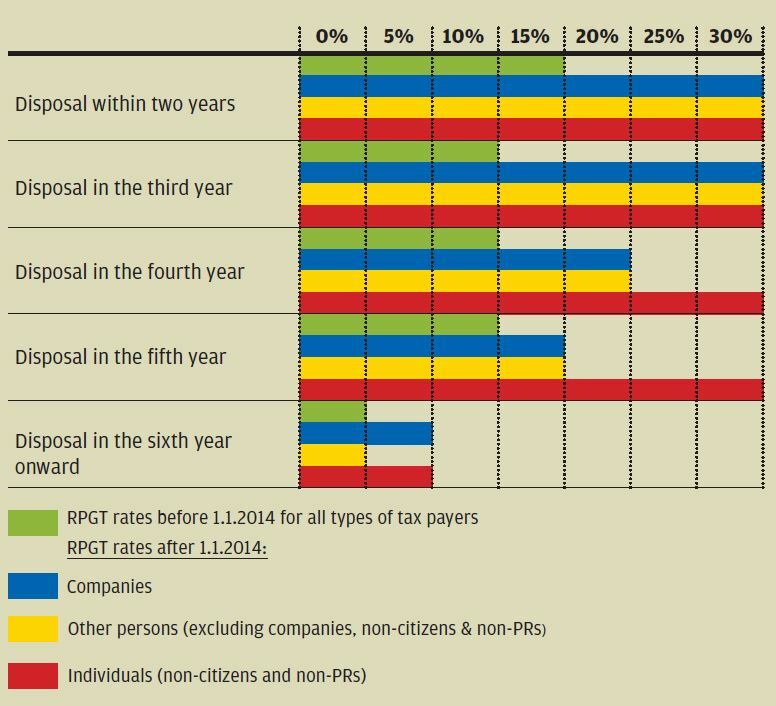 Home > Featured > Malaysians get RPGT tax-free once-in-a-lifetime! Posted on February 20, 2014 | 64931 views | Topic : Featured. FOLLOWING on from my last article – Taxation is part of everyone’s life in which I shared how the proposed GST (Goods and Services Tax) may affect property prices come April 1, 2015, some may also be interested in taking a closer look at how the new Real Property Gains Tax (RPGT) rates will impact the property market this year. It is interesting to note that, unlike most countries, Malaysia is one of the few besides Bahrain, Hong Kong and Singapore which does not impose taxes on capital gains. The only type of capital gains which will attract taxes in Malaysia is when you make profit from the disposal of immovable property or the shares in a Real Property Company (RPC). If you do, you will be subject to RPGT. 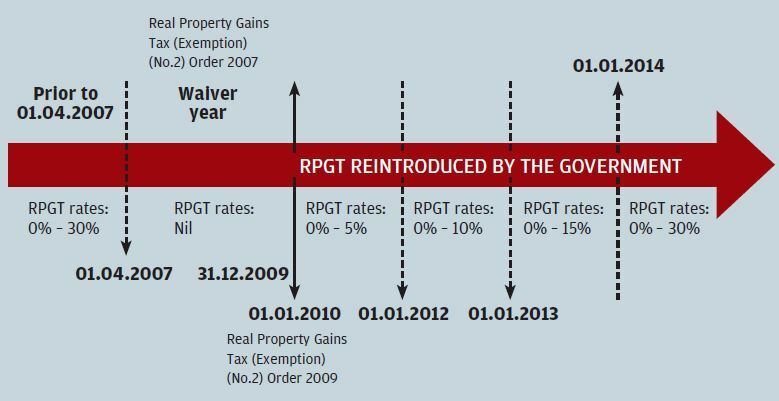 As proposed, with effect from Jan 1, 2014, the RPGT rates have been increased from the previous rates of 0% to 15% to the new rates of 0% to 30%, which are summarised as shown in Table 1. The new rates should not significantly affect long-term investors. Although many may have some concerns on the higher rate of RPGT, it is important to note that RPGT will only be imposed on any gains on the disposal of a property instead of on its selling price. As such, I believe that some investors may not regard the change in the RPGT rates as one of their foremost concerns in holding back their property investments. This is especially so for newly launched developments where the developers require three to four years of construction period to complete the developments. Hence, if they were to sell their property in the fifth year, the RPGT rate should only be 5% and “Nil”% if they were to sell in the sixth year. If an individual investor were to sell his investment within three years from the date of investment, he may still consider exercising his “once-in-a-lifetime” RPGT exemption on any gains arising from the disposal of his residential property. In most cases, this exemption shall only be used when a significant gain arises from the disposal of the property after a short holding period. In view of the above, it is unlikely that the new RPGT rates will be labelled as the main disincentive for investors to invest in real properties moving forward. Nevertheless, there is no doubt that the change in the RPGT rate will affect the short-term property speculators who tend to buy and sell their investments within a short holding period. When will the Government next change the RPGT rates? Despite all of the above, you may notice that the Government often fine-tunes the RPGT rates after a period of time – i.e. there have been five changes in RPGT rates within a period of six years since April 1, 2007, as summarised in Table 2. What else is coming? We hope that this new set of RPGT rates is only a short-term measure imposed by our Government. Better to purchase in own name or under a company? For investors who take a contrarian view and believe in the “time-to-buy-now” approach, they may be interested to know which is the best way to hold their investments, i.e under their personal name or under the company’s name. This is because different methods of holding the investments will result in different tax consequences at the time of disposal as shown in Table 1 above. Will there be any fixed formula to address the question of who should hold the investment? I can only share my view on a general basis. It depends greatly on the individual investor as to whether he has diligently reported all of his income to the MIRB (Malaysian Inland Revenue Board). If he has, he should have no worries about holding the property under his name or his company’s name. This is especially true if he intends to dispose of the property within five years from the date of purchase since there is no difference in the RPGT rates. However, if the purpose of such investment is for the long term, i.e. he will only dispose of the property after five years of purchase, it may be better for the individual to hold the property under his personal name. This is because any gain on the disposal of the property after a five-year holding period by individual investors will not be subject to any RPGT. Even if he changes his mind and decides to dispose of the property within three to five years of purchase, he can still opt to exercise the “once-in-a-lifetime” tax exemption so that he does not have to pay any tax on the disposal of such a property. However, it is important to note that this tax exemption is only applicable for the disposal of residential property by individual citizens or Permanent Residents (PRs) and is not applicable to any disposal of commercial property or disposals by persons other than citizens or PRs. On the other hand, if the individual is interested to invest in properties but has somehow not complied diligently with the tax law, he may choose to keep himself away from the radar of the MIRB by being less active in property investment under his personal name. If the investment is under a company and the company were to dispose of the property within a five-year holding period, there is actually no difference in terms of the RPGT tax liability. However, the method of holding may help to keep the investors away from the attention of the MIRB. Hence, it is always important to know your rights and plan ahead to minimise your tax liability over the long term. 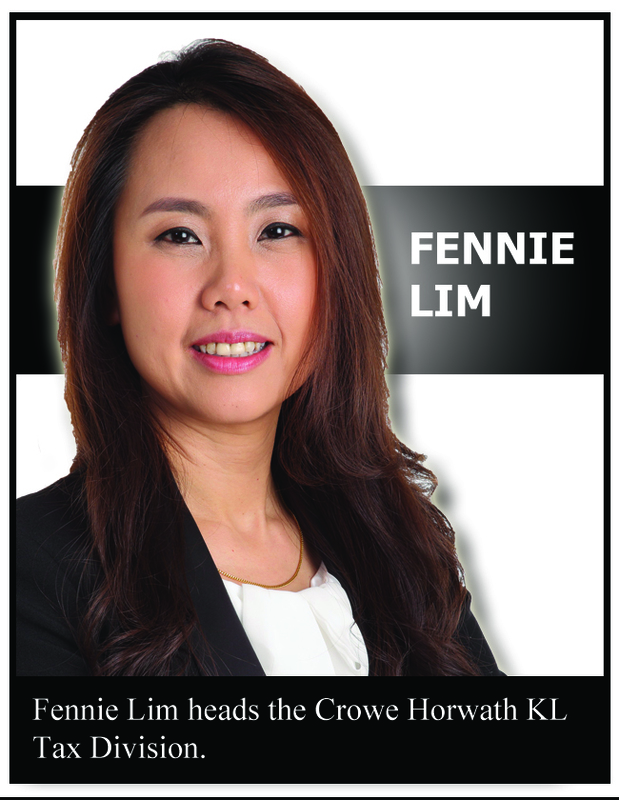 >> Fennie Lim heads the Crowe Horwath KL Tax Division and has been in the tax profession for the last 22 years. She has a wide range of experience in tax compliance, tax advisory and indirect taxes, and has advised many large local and multinational clients on complex tax engagements. Follow us on Wechat or Facebook for the latest updates. Download StarProperty.my e-Mag(bit.ly/StarProperty_Emag) for more articles. Want to contribute articles to StarProperty.my? Email editor@starproperty.my.